The Green and Gold Rugby Show is back for another week to get you over the gain line on the hottest topics on Australian rugby. 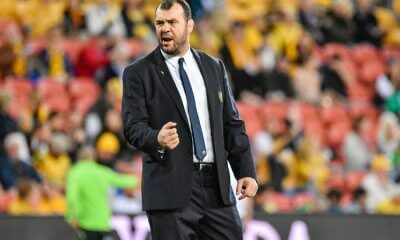 With World Series Rugby, the Wallabies loss, the NRC, Brett Papworth‘s new article and more, Rugby Reg, Hugh and Nick try to sift through what has been one of the more chaotic weeks in Australian rugby, which is really saying something. 1) What went wrong in Port Elizabeth? 2) What do we make of the Papworth plan? 3) The new Global Top 12 test competition: Good or Bad? 4) World Series Rugby: Does the model seem good? 5) How’s the NRC travelling? Yeah, NRC finals are really up in the air. There are 5 teams who are vining for finals. Fiji have the hardest schedule of the lot playing both Canberra and Force. Meaning it’s entirely possible they finish on 19 points. Canberra have the next hardest with Fiji and Brisbane so it’s possible they also don’t gain any points. The Force have no gimies either with Melbourne and Fiji meaning they could also be done adding points. Queensland and Brisbane on the other hand although a game behind have combined three NSW teams and Canberra. Q Country have Sydney and NSW Country so you’d expect they finish up on at least 22 perhaps 24. Brisbane on the other hand have NSW Country and then Canberra (likely to decide the 4th spot), you would expect they’d finish on at least 18 points but a win over Canberra would see them leapfrog into 4th with 22 points. Anyone of the top 5 could be in the number 1 position and anyone of the top 5 could be left out in the cold. Because Fiji and Canberra play two top 5 teams it means there are so many moving parts. Queensland Country are actually the most likely to be playing in the NRC finals. You can’t expect Fiji to beat Canberra or Force. You can’t expect Canberra to beat Fiji or Brisbane, you can’t expect the Force to beat Melbourne or Fiji. Queensland Country you would expect to beat both Sydney and NSW. Just depressing though to think that the only foreign based team in our “premier” domestic comp may win it. Nah, Fiji have close to their test team (or at least their ‘B-side’) in our ‘slightly better than club rugby’ competition. I don’t think it’s close to their test team at all. Maybe a handful of these lads have played tests, and those players have less than a handful of caps each. The Drua are basically all local players. There ya go,just got depressed again. nah, don’t be. They are a good team and it’s good for our players to be playing good teams, particularly those that play a different style. They aren’t unbeatable. They’ve lost this year and lost a few times last year, including (a couple of games at home). Reg, did you get a chance to see Fisher’s response to Smith’s article criticising the Wallabies? 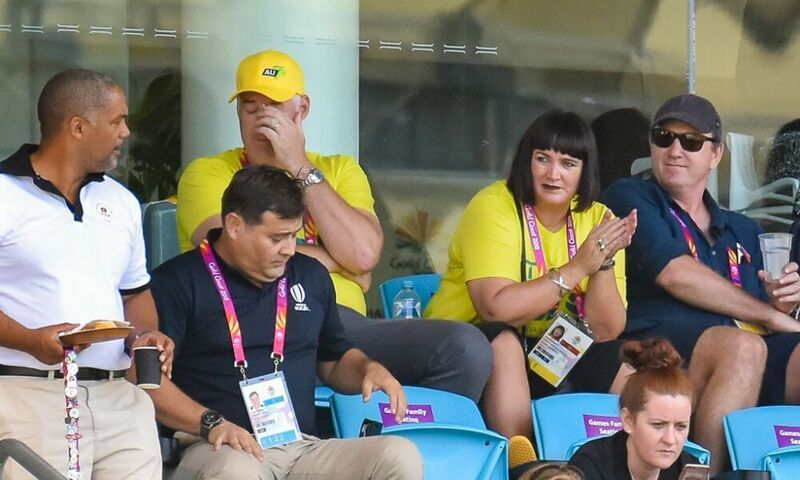 I feel like there might be some tiny momentum towards change… Jake White last week commented he’d be ‘interested’ in coaching the Wallabies should it become available. People can criticise the Brumbies for their lack of an expansive game plan over 2015-16 but White took a pathetic team in 2011, turned them into a good team in 2012 and then almost won the thing in 2013. Even after he departed the Brumbies played very good rugby in 2014, and remained the best Aussie team in 2015-2016 despite a rookie, inexperienced coach and a mass exodus of players. He was vital in setting up Brumbies development pathways and working on basic skills. He could assist in doing the same nationally as Wallabies coach. Get Laurie Fisher in as forwards coach (what are Raiwalui’s qualifications for the job?) and get McKay back as attack coach. Even if they can’t work full time, them working part time would be superior to other options available. Look at signing White until at least the RWC then go with someone like Cotter or Joseph or White who have a history turning around under performing teams. Someone like Robbie Deans would have been better as a director of rugby than coach I think, and I would look at bringing him back in a role like that, directing all national rugby programs and focusing on skills, as well as coaching the coaches – what are Kafer’s qualifications for this role? Is he doing anything anyway? did Lawrie respond on twitter? I’ll go check it out. I don’t mind any of those coaching suggestions (except taking mcKay from the Reds!!!). Particularly like Deans as the DOC role, effectively taking Kafe’s spot. He can stay with the Reds too :P . Part-time with both. I don’t want Fisher leaving the Brumbies either! Liked what you said until you said Robbie Deans. Shudder. Okay, yeah I was overstating things. Nah. Less than 50% of their test squad in the Drua. Bit of research tells me Fiji have c.45K registered players and Australia has c.87K. Assuming the same proportion of juniors and seniors etc they’d have about 50% of the playing pool for Australia. Pack all of the Fijian’s into one team and spread Australia’s non Super players across 7 teams and it’s not surprising that the Fijian’s have a pretty good side! It would be the same as combining over 3 of the Aussie teams into one in terms of selection pool. Imagine how much money RA could spend on “…grassroots” if they did combine 3 into 1. Let’s hope that Clyne does not read this blog. Due to clubs like Clermont and Brive having academies in Fiji players are leaving there at a very young age. Vakatawa was never really going to play for Fiji. Excellent pod as usual gents. Could you shed a bit more light on the Izzy stuff about not turning up to Tahs events and a suspect prep for the Argies game? Is there more to this or just rumours? He has played a lot of rugby since since coming back from the RWC2015 ankle coplaint so if his head isn’t in the game I’d be happy benching him. Give Banks a run and see what real pace can bring. We wouldn’t have missed him Izzy last weekend! it was reported in the paper that he didn’t show for the end of season Waratahs awards night. Despite the face he won it I believe. I was told that in the lead up to the Argie test on the GC, all players were asked to do ‘commitment sheet’ for want of a better phrase. Basically their commitment to the game that week (including what extras they were going to do, what community engagement etc). Izzy was the only player who didn’t complete one and Hooper laid into him big time. Apparently. Good on Hooper for having the guts to make clear to Folau that that isn’t okay. As long as he did it an assertive way, rather than whinging like he does with the refs, then that is some real captaincy and leadership from Hooper. It does make you wonder what it means for Folau’s future though. Ah thanks RR! Interesting if a little disturbing. Folau beat Hooper for the first time in forever and it’s a player’s player award so you’d assuming he was gelling well with the team in the super season. Hopefully it’s a blip and he’s back to right stepping smiling best. Who knows he is fairly devoted to his faith.Maybe they have fellowship meetings on a Thursday night.As for not filing the questionairre,lucky he didn’t get sacked Ala Shane Watson and co a few years ago.What a joke. If that “commitment sheet” is as lame as it sounds, no wonder the Wallabies can’t get out of their mental fog. Perhaps Izzy knows that a third rate exercise for middle management isn’t how you win test rugby. From what Macqueen wrote in his book his players were doing SWOT style analysis on a weekly basis at the Brumbies to put ownership on them to work out what their strengths, weaknesses, opportunities and threats were. There were regular meetings where the players took ownership. That’s real middle management and pen pushing not something that should take about five minutes to complete if you have a proper diary. Culture is a buzzword used excessively now in sport, business, the work place – even family life. Putting aside the obvious difference between “good culture” and “bad culture”, culture as we all know comes in many different forms. Some is manufactured, some inherited, some simply made up to tick pointless boxes, or meet poorly thought out “KPI’s’. 1. They are built around standards & values that are proposed, agreed upon and signed off by everybody. 2. Those agreed standards & values apply to everybody. There are no exceptions. It includes the very highest paid and the lowest paid. The longest serving invividual person and the most recent arrival. The person most famous, the person least famous. Cultures get destroyed not because of No. 1 — but because of divergences in the adherance to No. 2. Like when the young, unproven, unfamous individual gets slammed for not following No. 1 — but watches the proven, highly paid, famous individual commit the same mistake but escape any punishment. The stuff that breaches No. 1 – but gets tolerated because they are highly paid and famous. The stuff that gets ignored because we cannot afford to lose that individual. Like many, I have watched Israel Folau’s antics through 2018. I see breaches of agreed standards in many areas – both on & off the field. I even see social media postings by his wife who further breaches those standards because she thinks she should get involved and “have her say”. Until Rugby in Australia can build a culture of standards and values that apply to everyone, the sport will remain imbalanced. As long as Rugby in Australia continues to make exceptions for different individuals, there is by default a culture by name only. 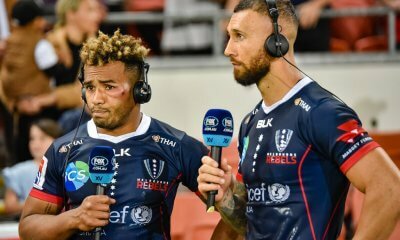 Those who think Rugby in Australia could not survive without Israel Folou should think again because what good comes on the field is mixed with questionable standards off it. 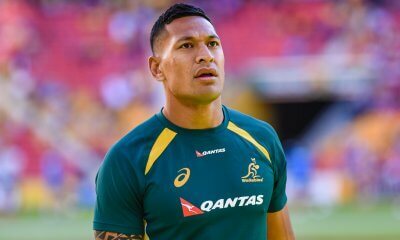 If Israel Folau thinks he is bigger than the game – there is an issue. If Israel folau is allowed to think he is bigger than the game then there will be no game in the future. Surely Rugby Australia learned that lesson from the Cooper, Beale, O’Connor antics of 6-8 years ago. My sense is we are about to see. 1. Get as many people as possible in Australia playing some form of rugby. 2. Develop the best rugby players in the world from the juniors up. Tell us what needs to change and what structures need to be implemented to achieve these two goals. Good podcast as always, but can we please get rid of the pen-clicking and keyboard-clacking during the recording? It’s really annoying! Don’t like the Top 12 idea at all. Doesn’t factor in the Lions and gives zero indication of tier one nations playing tier two teams on a regular basis which was agreed upon last year. It appears it came from Pichot out of the blue. The RFU CEO said he heard nothing about it. Pichot should be focusing on getting Argentina on the Lions tour rota rather than creating another closed shop at test level. Youre worried about the standard of the mitre10 cup not being up to an aussie domestic comp…. 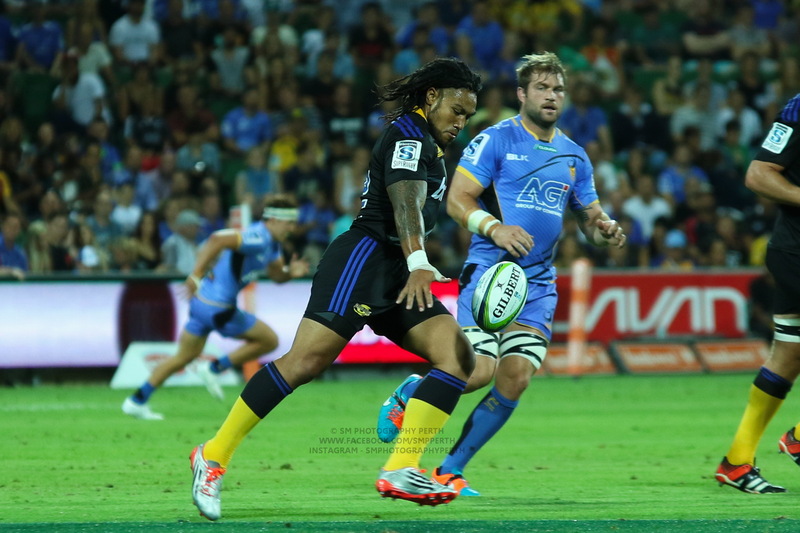 have you ever seen the mitre10 cup? Its good. Dont worry they wont be embarassed with a best of the mitre10 cup side.